Lake Shore Drive may be in shambles and Chicago's traffic is officially hellish, but the CTA appears to on the up and up. 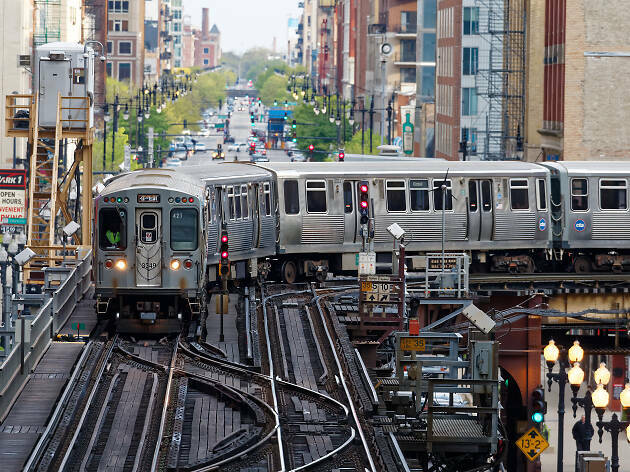 Today, CTA officials announced a pilot program that will bring three new amenities to various El stops (mostly on the Red Line) throughout the city come springtime. Here’s a quick rundown of what may be coming to a stop on your daily commute. These vending machines will allow CTA riders in need to a quick charge to buy or rent battery packs for iPhones and other mobile devices. There’s an initial fee of $4.99 to obtain a charger and a rental fee of $0.99 per day afterward. The cubes can be returned to any MobileQubes kiosk in the country. 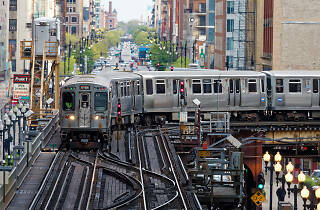 In total, the CTA will host 35 of the machines at 26 different stations, with the majority of them located along the Red Line. You've probably snapped a photo inside a booth in a local dive bar, but soon you'll be able to get your picture taken at the Chicago Red Line station. The machine will take souvenir photos ($14.99) portraits, ID photos and even passport photos ($4.99). You've probably come across one of these Chicago-based vending machines, which are stocked with snacks and meals made with organic, locally sourced ingredients. Soon, you'll be able to grab a salad at from machine being installed at the following stations: Grand (Red), Fullerton (Red, Brown, Purple), Indiana (Green) and Damen (Pink). According to a release, all of the costs associated with the installation and upkeep of the various vending machines will be paid by their respective owners, not the CTA. That's a sweet deal for the public transportation operator and potentially convenient (if a bit pricey) way for riders to grab healthy snacks and passport photos while on the go.